Approximately at 18:00 local time Dokuchaevsk city, south-west of Donetsk, was shelled by punitive forces. The enemy fired 82mm mortars, IFV (infantry fighting vehicle) guns, grenade launchers and small arms. Last time Dokuchaevsk was shelled in the end of summer. Three residential buildings in Yasnoye village were damaged by direct hits back then. Soon after that a full ceasefire on the contact line in Donbass starting from September 1 was negotiated in Minsk. However, the Kiev junta systematically violates the ceasefire. In the end of November Kiev declared that it will stop fire from 00:00 on November 25, but the shelling continues. 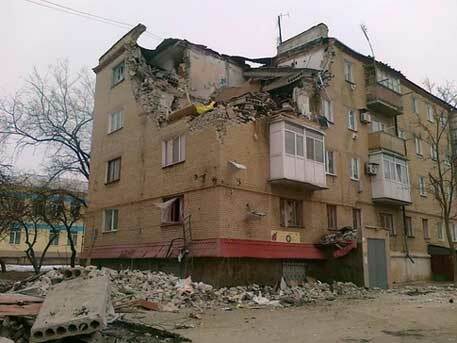 This entry was posted in News from Ukraine and tagged DPR, Minsk agreements, Shelling, Ukraine, Violation of Ceasefire. Bookmark the permalink.